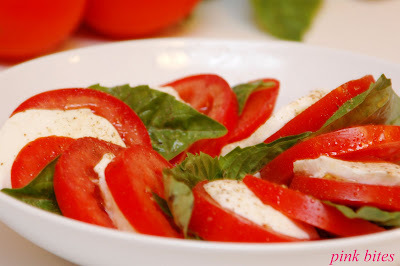 Just tomatoes, basil and mozzarella di buffalo. There are endless variations to this Italian classic, this is the original version, if you will. Just assembled and seasoned with good olive oil, salt and pepper. 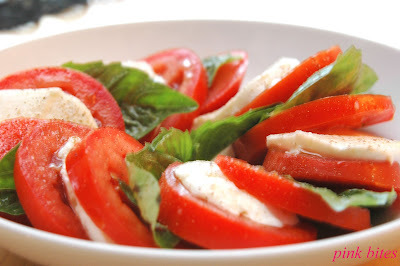 This is such a perfect summer salad.